On 2 July 2019, the Moon will cover the face of the Sun, turning day to night in a total solar eclipse covering a 100 km-wide swathe of northern Chile, including ESO’s La Silla Observatory. Thousands of visitors from around the globe will travel to the region to experience this phenomenon against the beautiful backdrop of the dramatic Chilean landscape. As part of a wider campaign in Chile, ESO is organising a 2019 Total Solar Eclipse event at the La Silla Observatory on the day of the eclipse. ESO is now inviting members of the press from around the world to attend the event, which will offer an unparalleled view of the solar eclipse in unique surroundings. As the solar eclipse will occur during the late afternoon, the rest of the day will be devoted to many different activities, including interviews, tours of the La Silla telescopes, talks and workshops. Viewing the eclipse itself will depend on weather conditions, which cannot be guaranteed. All applications will be considered, but space at the event for media participants is limited. Applications can be submitted here. Members of the press, including online media and broadcasters, may sign up here to receive the ESO Media Newsletter. 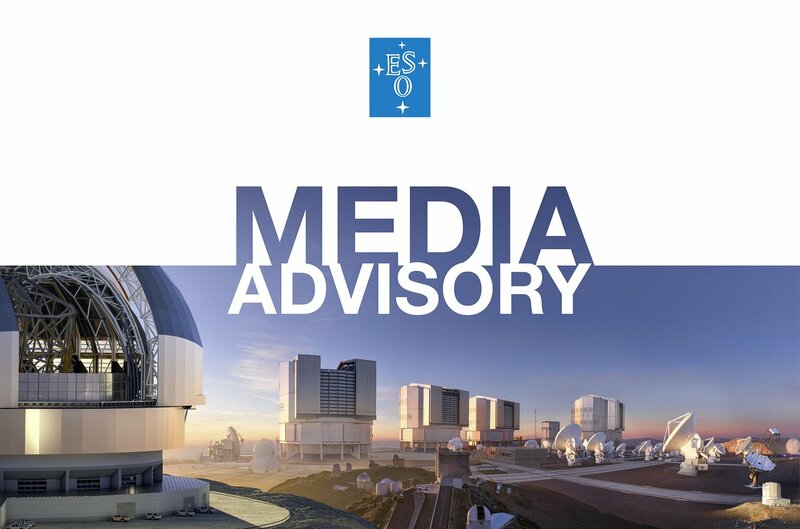 Under normal circumstances this contains ESO press releases sent about 48 hours in advance of public dissemination as well as latest videos and footage from ESO, available for use in documentaries, movies, video news etc. To sign up to the ESO Media Newsletter, please fill out this form.